The fungus is native to the northeastern part of Japan and North America, and is prized in traditional Chinese and Japanese herbology as a medicinal mushroom, an aid to balance out altered body systems to a normal level. Due to the taste and rough texture of the mushroom, it is widely eaten in Japan, although the mushroom has been alleged to cause allergic reactions in rare cases. Maitake mushroom (Grifola frondosa) is widely regarded in traditional folk medicine as a potent immune food. Scientists have identified that the beta glucan compound of this mushroom is responsible for its immune support properties. 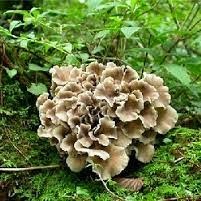 The latest study shows that Maitake is an efficient and potent activator of macrophages, key immune cells needed for a healthy immune response. This new study shows that beta glucan from Maitake turns on gene signal activation in macrophages to facilitate an immune response. Interestingly, this was a controlled activation that prevented excessive inflammation, indicating a more efficient immune response. Macrophages are not only the removers of garbage, they are also one type of immune cell that can engulf and invader and gobble it up. The more efficiently they work the better your immune system works. This study supports an earlier study showing that Maitake enhances the ability of other front line immune troops to gobble up invaders – once again without excessive inflammation. In addition to improving the ability of immune cells to engulf and destroy invaders, Maitake has also shown an ability to activate natural killer (NK) cells, important cells that knock out human cells that have been overwhelmed by a viral infection or cancer. Another study showed that improved NK function by Maitake was due to improved function of macrophages, which in turn were sending signals to the NK cells to get in gear more actively. This type of study speaks to the power of nutrition to help coordinate an efficient immune response between various important cells of the immune system. Furthermore, Maitake has been shown to help reduce inflammation in the intestinal tract. This is important because flu and other bugs typically begin their process of setting up shop with a highly inflammatory attack within the digestive tract before moving on to other areas of the body, such as the lungs. 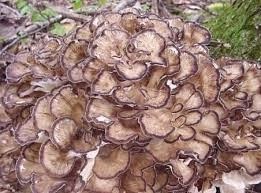 It is also important because it shows Maitake can dampen inappropriate activation of the immune systems inflammatory messengers (TNFa and NF-kappaB Protein complex that controls DNA transcription and is involved with cellular responses to stress, cytokines, free radicals, UV radiation, oxidized LDL, and infections. ), demonstrating that Maitake is an intelligent immune system manager.